The book in the photo above is what I've been reading. 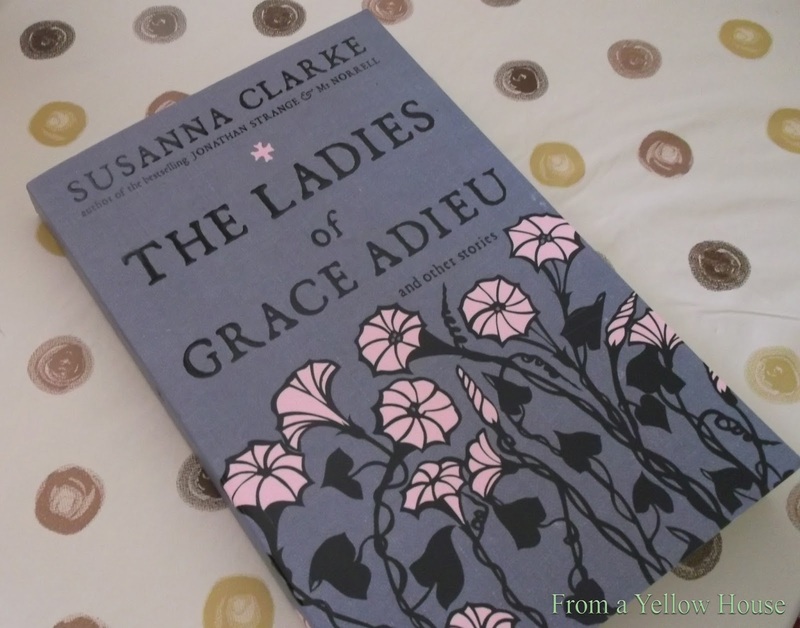 It's called as you can see, The Ladies of Grace Adieu and it's by Susanna Clarke. I picked up this book at a bookstore in Bath quite a few years ago and I've finally gotten around to reading it. I really enjoyed it. It's a beautifully quirky collection of short stories about a fantasy world that the author has created filled with those practicing magic. Each story offers a fun way to escape as a reader and I loved going on this interesting journey. The various characters have different experiences with magic and yet the stories all tie together so beautifully around the theme. This is not usually something that I would read, but it was great to experience a world that I wouldn't usually get to know much about. I'm glad that something made me pick this book up all those years ago as I browsed around that bookstore in Bath. Another thing that I absolutely loved about this book were the illustrations. They are whimsical and beautiful and add so much to the aesthetic feel of the book. The illustrations are done by Charles Vess, an artist from Virginia. If you're interested in reading something different and beautifully creative then this just might be the book for you.